While ARM processors don't lack for mobile software development support, it's a different story when it comes to servers. Software and firmware tools for ARM servers are fragmented, and there's no single go-to package for users to configure and get ARM servers up and running easily. Recognizing that challenge, standards organization Linaro is pushing a new open-source software reference platform that will provide easy access to firmware and common software tools for easier integration of ARM servers in data centers. Linaro is a major player in the development of Linux and Android software for ARM-based devices and servers. The organization is handling the development of Android for Google's Project Ara custom smartphone, and has adapted the Chrome browser for mobile devices. With the server reference platform, Linaro is trying to standardize server software development among the varied ARM platforms. That is similar to Intel-based servers, where software can be installed without worrying about compatibility with the underlying hardware. The reference platform includes boot and firmware tools, and software for cloud and distributed computing deployments. The software stack includes OpenStack, Hadoop and OpenJDK tools and can be incorporated in the latest Debian and CentOS Linux distributions. ARM servers are already recognized as a stable platform for the LAMP (Linux, Apache, MySQL and PHP) stack, used for serving Web applications. Linaro will provide access to the software through its partners in early 2016, the organization said. Versions of the reference platform will be offered for storage and networking appliances in the future. ARM licenses processor designs to third parties like Apple, Samsung, Nvidia and others. A handful of servers are shipping today with ARM server chips from companies like AMD, AppliedMicro and Cavium. Qualcomm has announced an ARM server chip. All the major ARM server chip makers are members of Linaro. AMD is the only company with a major software development program underway, working with Oracle on the OpenJDK program for native Java support on ARM processors. 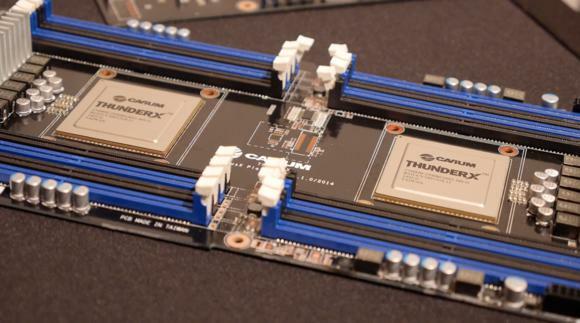 It is also driving the development of HSA (Heterogeneous System Architecture) standards -- which could replace OpenCL -- so software can be broken up to run among different processing units in computing devices. The server market today is ruled by Intel, but AMD has said ARM could comprise 20 percent of the market by 2020.